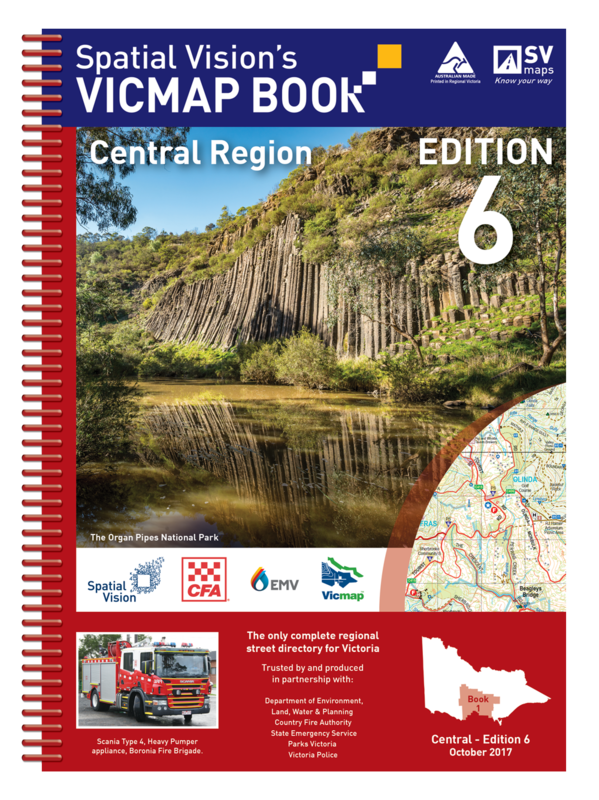 The Vicmap Book series are designed to ensure that the Emergency Services have access to the latest, authoritative topographic mapping across Victoria. 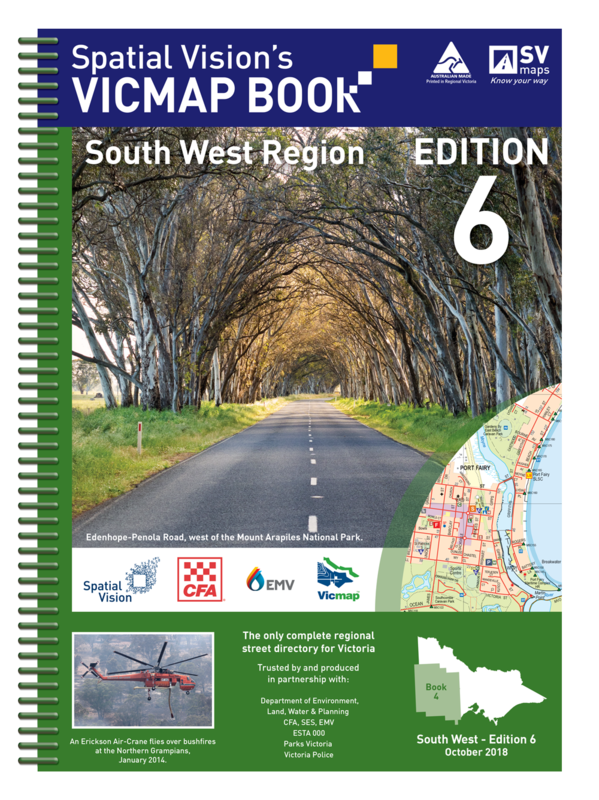 First published in 2006, the maps in these award-winning directories are based on over 80 input layers which are sourced from various government agencies and private organisations. 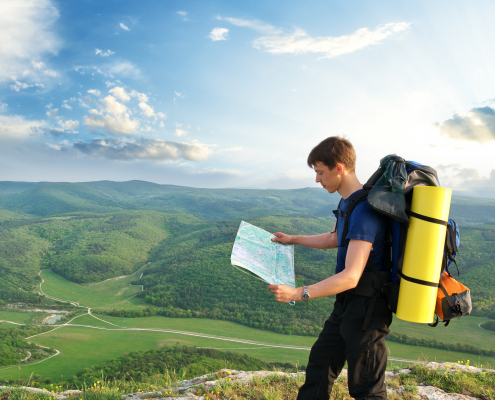 They also include large scale maps of cities and towns. 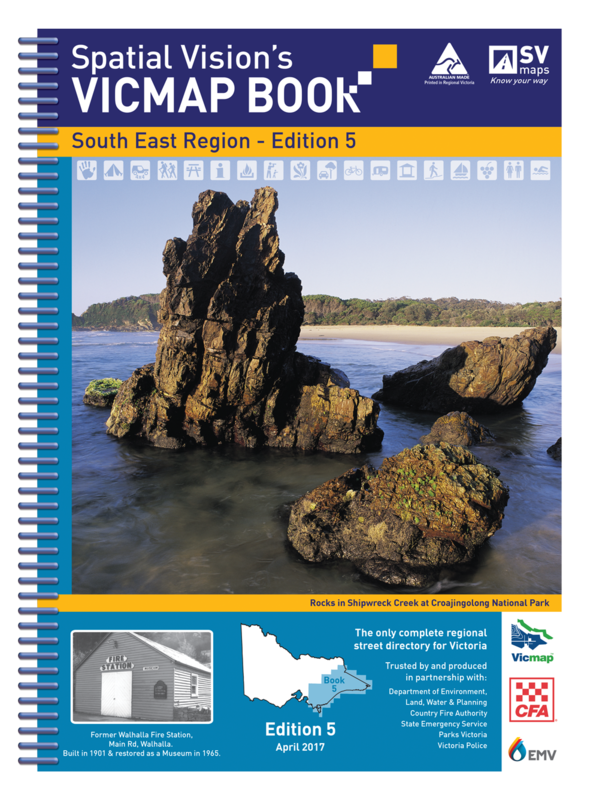 The Vicmap Book series of directories is ideal for general touring, four wheel driving, mountain bike riding, camping, fishing and bushwalking. 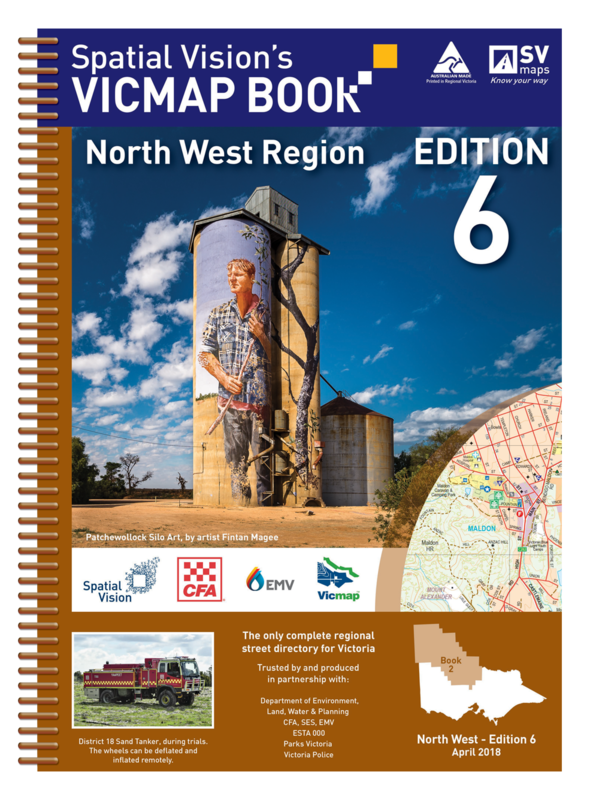 We developed the Vicmap Book series in partnership with the Victorian Department of Environment, Land, Water & Planning (DELWP) and Country Fire Authority (CFA) in an initiative to make state-wide topographic mapping more widely available throughout Victoria. 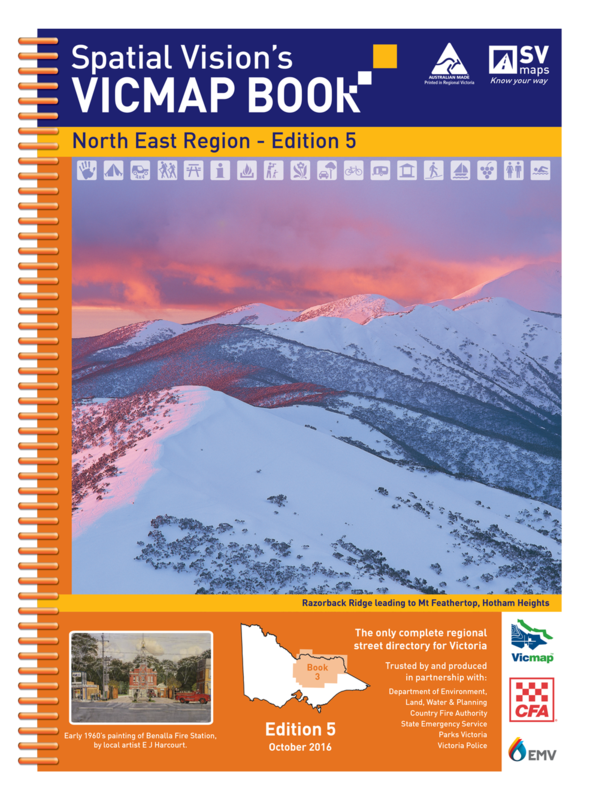 Each map book is based on the latest 1:25,000 Victorian Government topographic information (Vicmap). 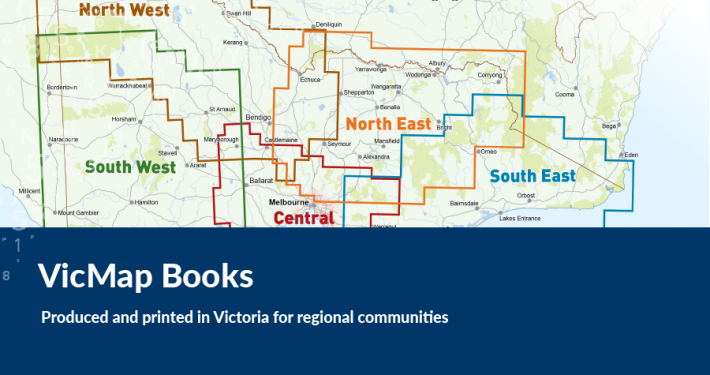 Each Mapbook contains 1:100,000, 1:50,000 and 1:20,000 scale maps based on over 80 input layers sourced both from Victoria’s official Mapbase and various other government agencies and private organisations. 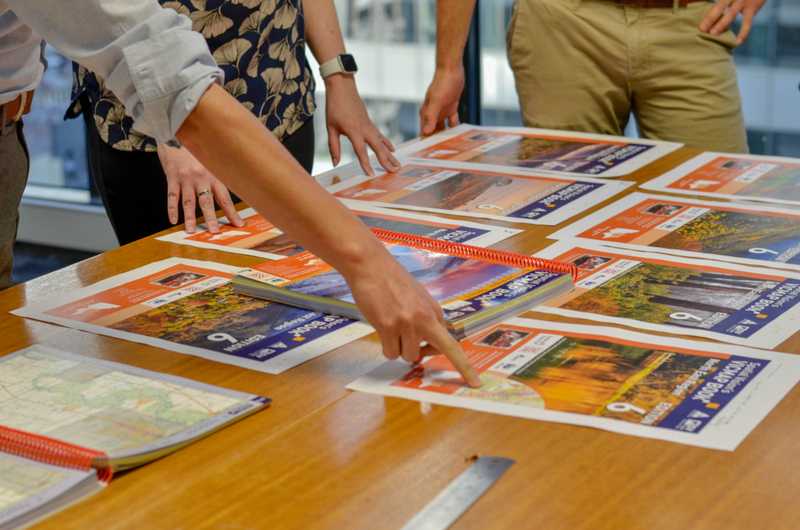 We are responsible for all aspects of publication including design, data preparation, map production and output (in both hardcopy and digital formats). 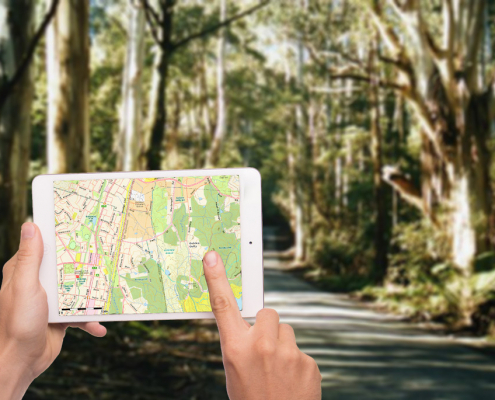 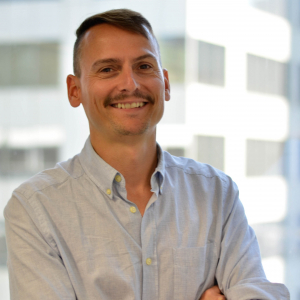 As part of this project, We also maintain key datasets on behalf of the Victorian Country Fire Authority (CFA).